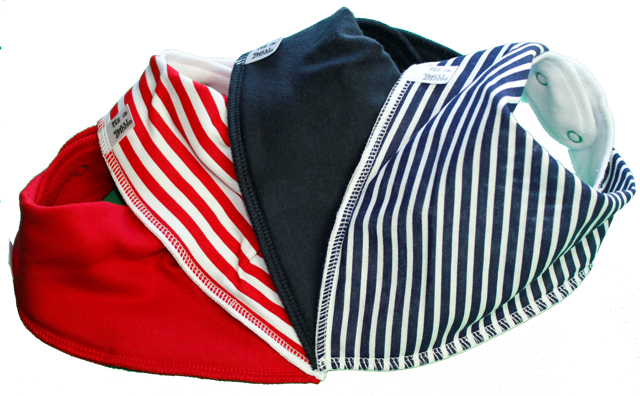 Nautical colours are the base for CADET 4 pack of bandana bibs with colours to suit both girls and boys this is a great addition to your Bibbles collection. Suitable from newborn to approx 3 years old. Neck Size: 31-35cm approx and 13cm long. 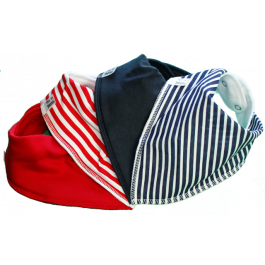 Bibbles come in a continually changing range of colours and designs to suit every taste and will enhance any outfit, ideal for the modern mum and baby of today.